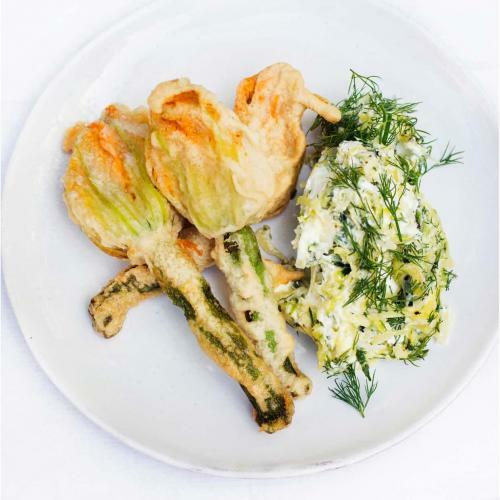 Deep fried courgette flowers with ricotta and grated courgette. 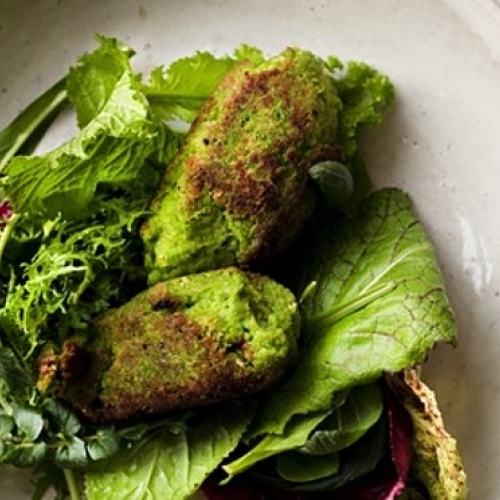 Green pea fritters with bacon and crisp breadcrumbs. 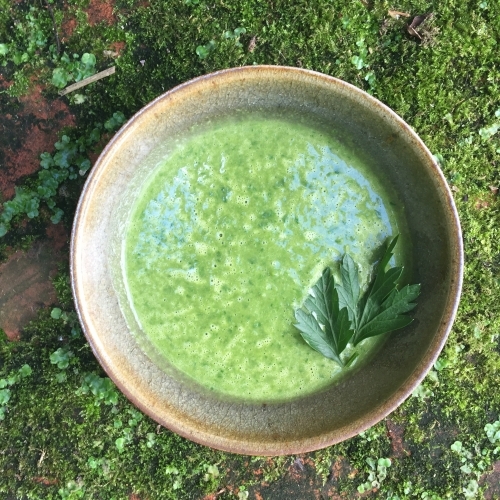 A verdant green soup of peas and parsley for a summer day. 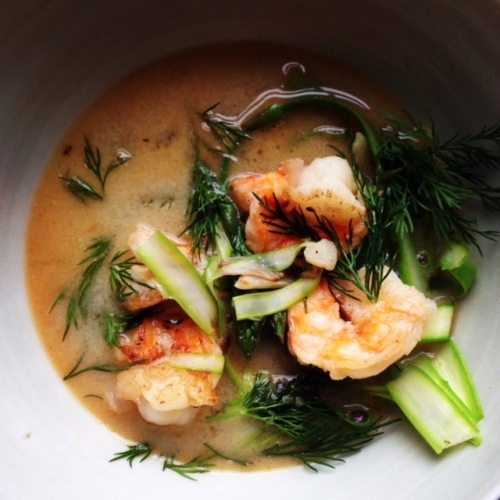 Asparagus, prawns, ginger, fish sauce and lime in a summer soup. 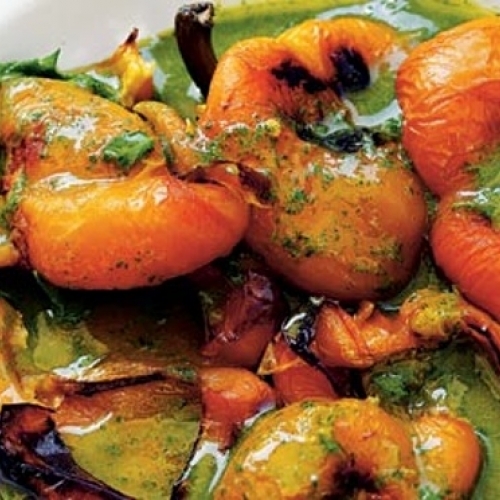 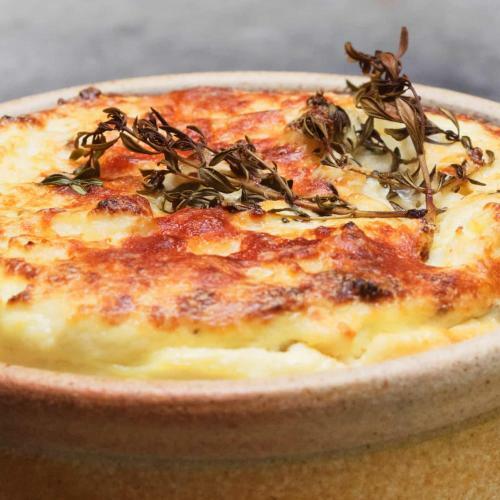 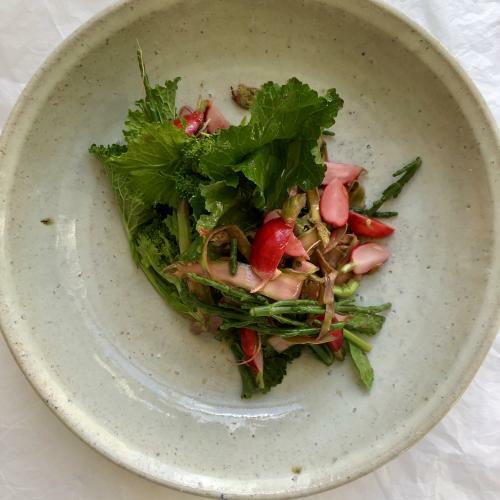 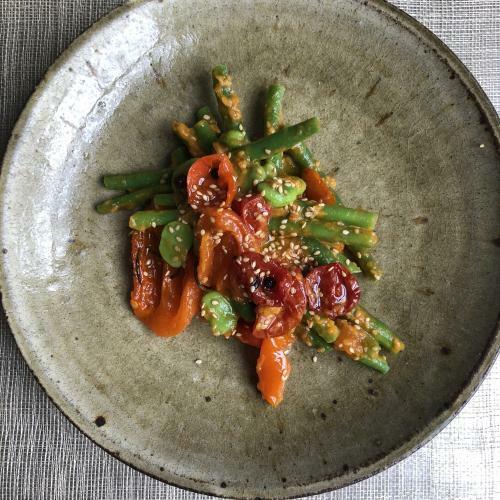 A dish of soft, baked peppers with a summer herb sauce. 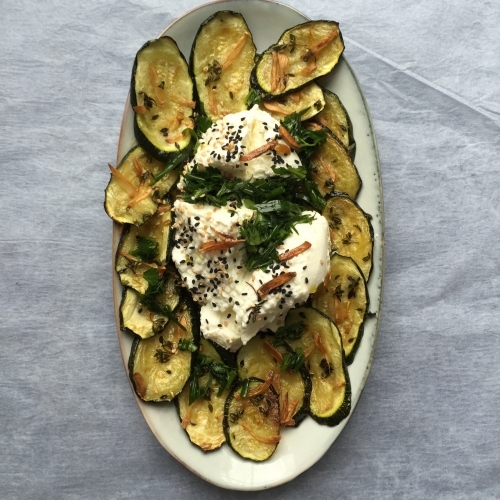 Baked courgettes with garlic and a herb scented strained yoghurt. 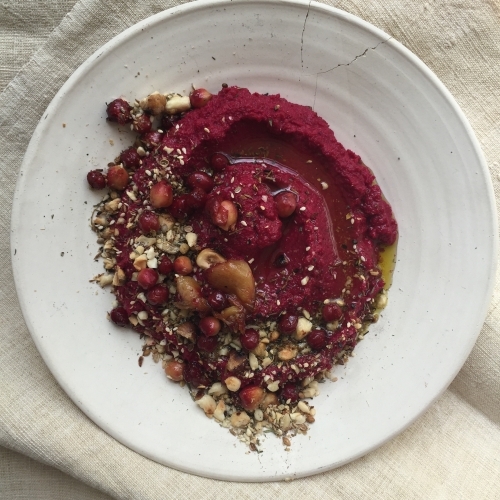 Chickpea and beetroot hummus, with an aromatic hazelnut dukkah. 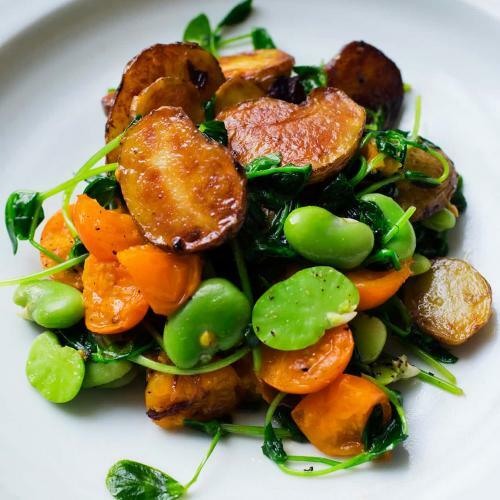 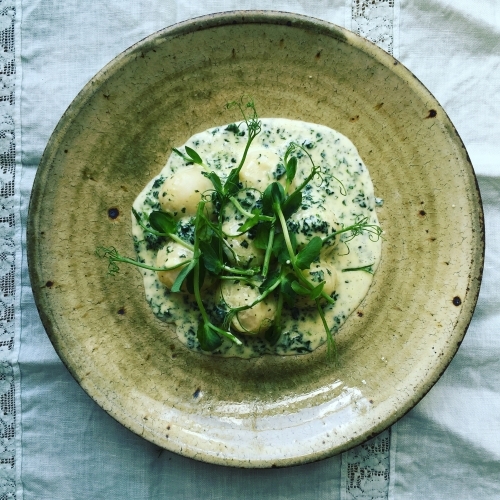 Easy, home made gnocchi with spinach sauce and pea shoots. 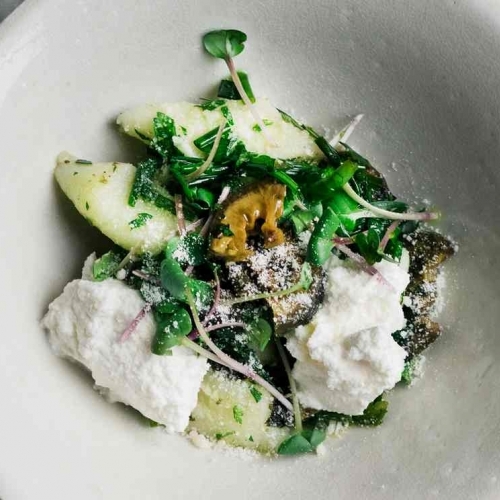 Home made gnocchi with pickled walnuts and cress. 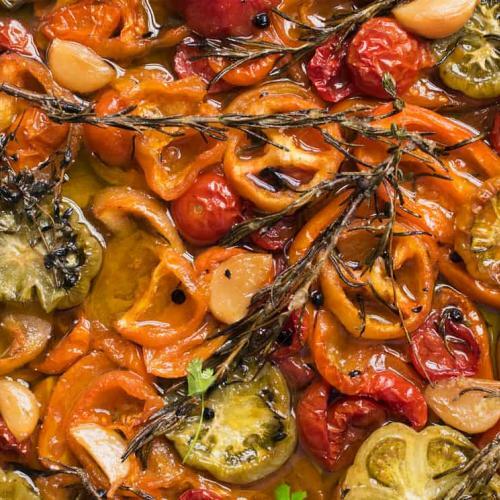 Pasta for summer. 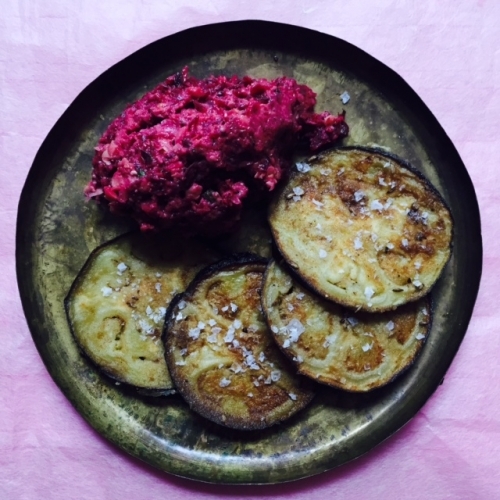 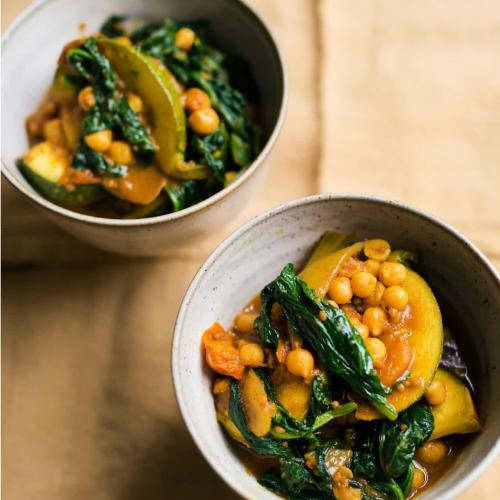 Crisp slices of aubergine with a beetroot and chickpea spread. 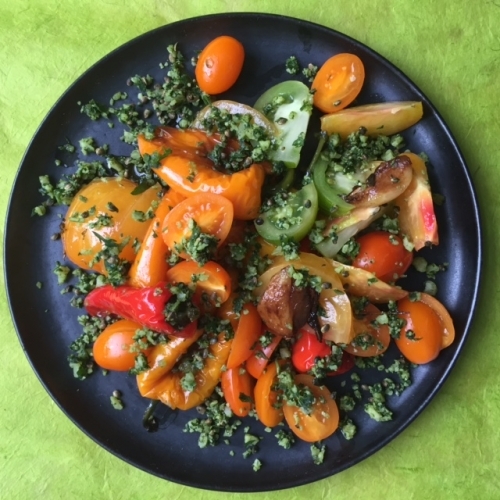 Warm peppers and tomatoes with toasted hemp and basil pesto. 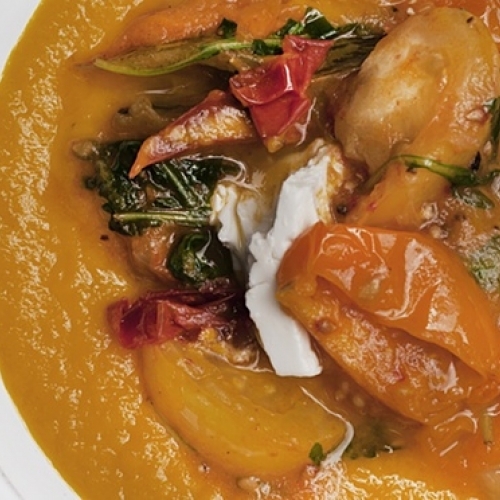 A summer soup of ripe tomatoes and carrots with feta. 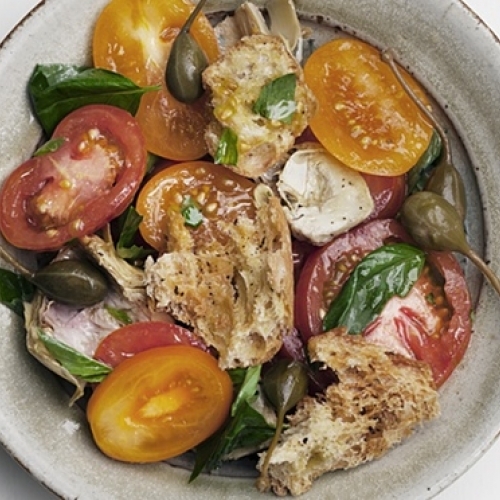 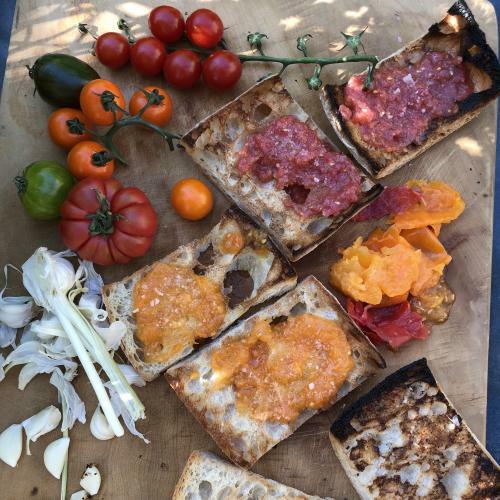 Assorted tomatoes, toasted ciabatta, with a basil dressing. 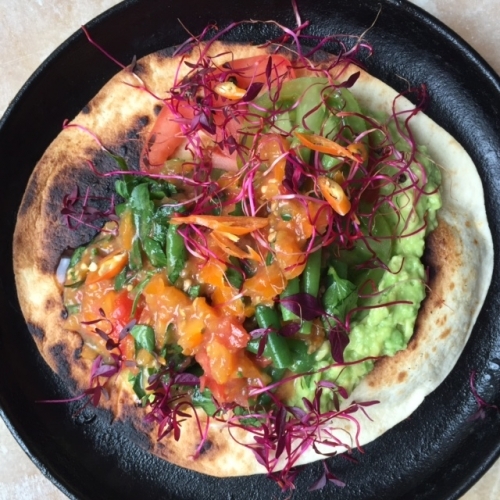 Tacos filled with creamed avocado and a tomato and green bean relish. 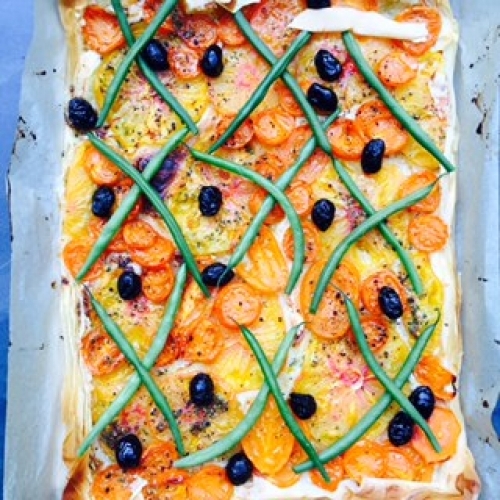 A simple filo tart of ripe tomatoes and rosemary butter. 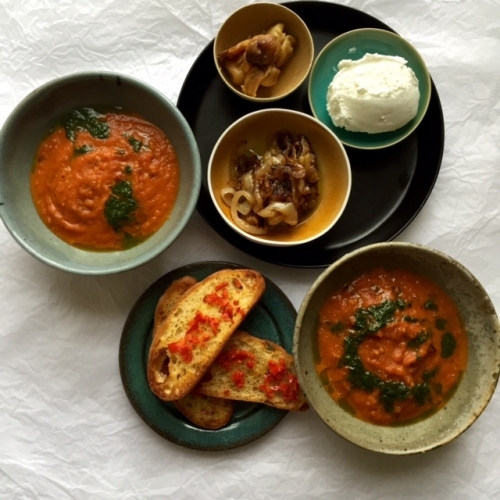 Tomato soup with caramelised onions, goat's curd and basil oil. 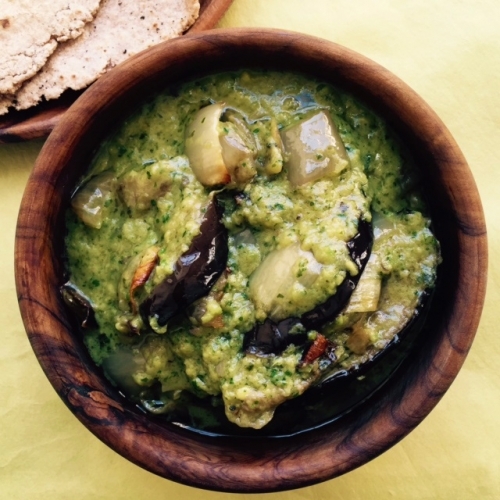 Home made Indian flatbreads with a green aubergine curry. 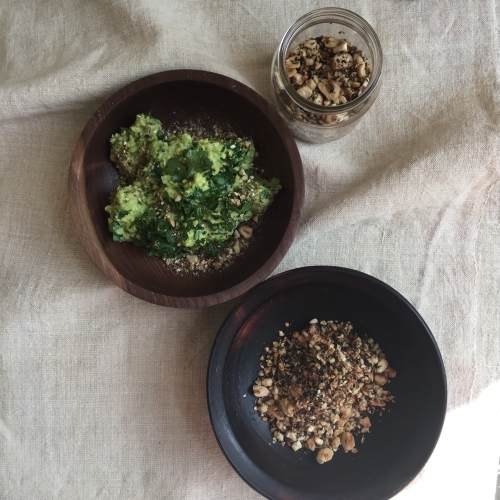 A toasted hazelnut version of the Egyptian aromatic seasoning. 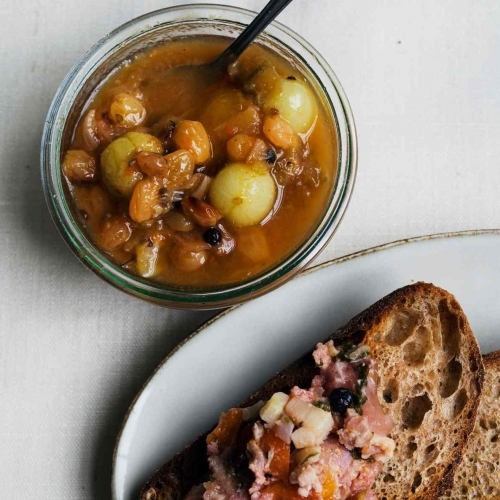 An sweet-sour onion and gooseberry chutney for cheese or cold meats.